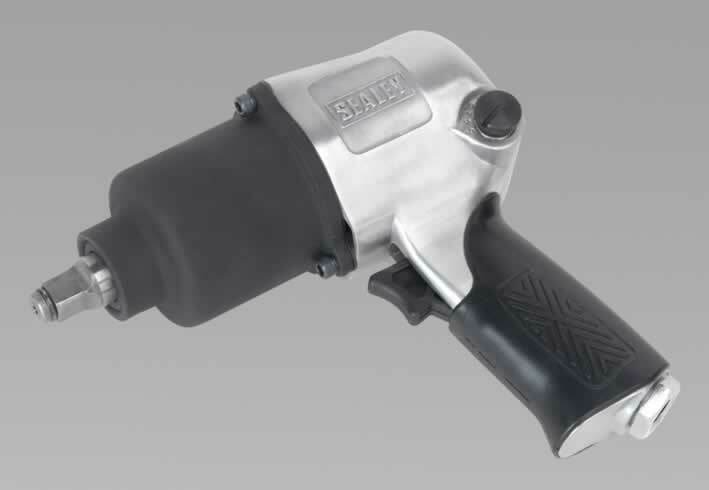 • Powerful 1/2"Sq drive impact wrench with twin hammer mechanism for increased torque. • Air motor features quality bearings, steel end plates and carefully finished components to ensure smooth running and maximum power. • Combination forward/reverse and speed selector. • Suitable for heavy tyre shop use.